Poet, playwright, novelist and artist, Archer Shee was appointed President of the Royal Academy in 1830. Of those remembered at the Rest Garden, the importance of Shee judged by his contributions to the arts and culture of his age might have accorded his tomb some particular care. 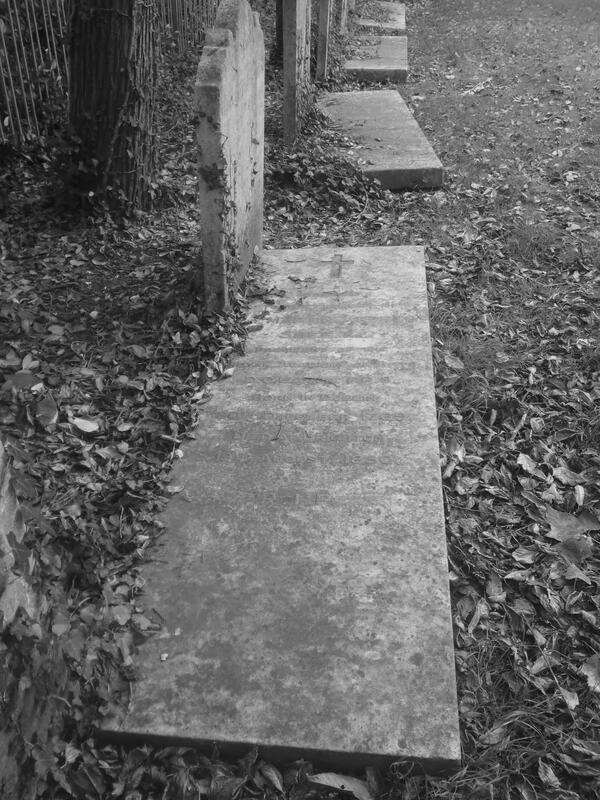 However – like many in the clearance of the 1950’s – his tomb was broken up with the inscripted piece laid flat along the southern boundary of the burial ground. Because the records cannot be located, we do not know the location of his final resting place. Martin Archer Shee was born in Dublin, and showed early promise as an artist and at the age of twelve, was awarded medals by the Dublin Societies Academy for his drawings of figures, landscapes and flowers. Studying Art at the Dublin Society – initially against the wishes of his father, who felt it an unsuitable profession for a direct descendent of the third century Kings of Munster – he acquired a great reputation for his portraits. Leaving Dublin for London in 1788, he was introduced by William Burke to Joshua Reynolds, and enrolled in the schools of the Royal Academy. In 1789 he exhibited his first two pictures and was chosen an associate of the Royal Academy in 1798 and in 1800 he was elected a Royal Academician. His novels included: ‘Cecil Hyde’, ‘Harry Claverley’ and ‘Oldcourt’. Like his paintings, they take as subjects the rich and fashionable – generally featuring a young and dashing Irish aristocrat of impeccable breeding and manners but short on cash. He also produced a tragedy, Alasco, set in Poland and concerning an unsuccessful uprising against the ruling Prussian monarchy. The play was accepted at Covent Garden, but was refused a license, on the grounds that it contained “treasonable allusions” sympathetic to republicanism, and Shee angrily resolved to make his appeal to the public. He carried out his threat in 1824, but Alasco was still on the list of unacted dramas in 1911. On the death of Lawrence in 1830, Shee was chosen president of the Royal Academy, and shortly afterwards he received a knighthood. In his examination before the parliamentary committee of 1836 concerning the functions of the Academy, he ably defended its rights. He continued to paint till 1845. Illness made him retire to Brighton, and he was deputised for by J.M.W. Turner, who had appointed him a trustee of the projected Turner almshouse. This entry was posted in Artist, Author, Dignitary, Novelist, Playwright, Poet, Rest Garden, St Nicholas. Bookmark the permalink.